Shiva hours: from 1:30 p.m. to 4:30 p.m. and 7:00 p.m. to 9:00 p.m. daily until Sunday evening. “Beit Halochem – Aid to Disabled Veterans of Israel” 1-800-355-1648, (905) 695-0611. Dear Abe & Leslie and family, Our sincere condolences to all of you on the loss of your cherished father and family patriarch. We hope wonderful memories of times passed help to brighten your days ahead. Your father lived a full life with, dignity honor and great devotion to all his family. He will be greatly missed by everyone who knew him. Dear Abe & Family- I was saddened to learn of the loss of your dear father - Willi. I had the pleasure of talking with him very often at the ‘Y’ and also dancing with him at Jennie & Lou ‘s wedding . He had a joie de vivre & was always very friendly.May G-d give you strength to bear your loss with courage and may you enjoy the wonderful memories he has left. I am very saddened by this loss. We were good friends spending time at the Y aqua fitness class and enjoying each others company . My sincere sympathies, and may you be spared further sorrows..
Dear Syne Family, Our deepest condolences on the passing of your dad and grandfather. May the good memories you share sustain you at this difficult time. Dear Abe, My sincere condolences to you and your family on the passing of your father. May his memories comfort you in your time of sorrow. Dearest Judy, Abe , Elliot and all the Syne family’s , I wish to express my sympathies on the loss of a great patriarch of your family. My memories go back to the years we all sat around the kitchen table in New Bordeaux chatting. It was a wonderful family atmosphere. He will be missed but never forgotten. Please accept my sincere condolences on the loss of your father. Your dad and I were neighbours and became fast friends as we waited for the adapte taxi's. During our waits for the taxi's i quickly realized what a great man he was. He had a wonderful sense of humor and the best laugh. I will miss him dearly. Dear Abe and Leslie. Please accept our deepest sympathies on your loss. We fondly remember Abe’s father. May you be spared any further sorrow. Dear Syne family, We go back many years ago with the Kaminski family. My sincere condolences to your family..
Dear Abe and Leslie. I am sure Willi will always be proud of the wonderful legacy he has with such a beautiful family as the Synes.May he rest in peace. Saddened to hear of your dad’s passing, Abe. Our condolences to you and your family. Our deepest sympathy on the loss of Willy my dear Machitin. We shared many joyous occasions and had many wonderful holiday dinners and Shabbat dinners. A wonderful father and Saba. May his memory be an inspiration. Love. Lou and Bubbly. To the entire Syne family I send my sincerest deep sympathies on the passing of such a wonderful man. He was very lucky to have such a devoted and loving family and you for having him in your lives. You will have wonderful memories to hold on to. Dear Davida, I extend my sincere condolences and deepest sympathy to you and your family. May song keep the blessing of Willi's memory alive in your heart. Please accept my condolences on the loss of your father. Willi was a kind, gentle man. Although I only knew him for a short period of time, through his friend Sophie, my whole family grew to love him. May the memories you have of him help you through this difficult time. Dear Judy and family, So sorry to hear of your loss. May all your fond memories of your beloved dad help to sustain you throughout this most difficult time. To my Dear Friend Abe, may you be spared from further sorrow, and only receive good news and blessings moving forward. My deepest condolences to you, Leslie your Family and Gertrude, Ami, Ron, and all the Family. What a pleasure it has been to have personally known you all over the years! G-d Bless. Our condolences to the family.A great man with great principles and a gentleman that stood out in the crowd were ever he was. Very fortunate to have meet him.... Regards to the family. To my dearest friend Elliot, my deepest sympathies. Willi was always a pleasure to be around. He will be missed dearly. 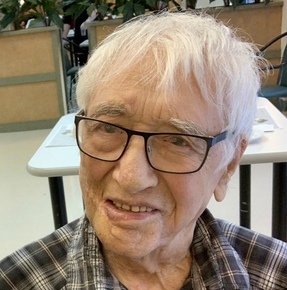 On Sunday, March 24, 2019 in his ninety-seventh year. Beloved husband of the late Rachel. Loving father and father-in-law of Judy, Abe and Leslie. Cherished Sabba of Elliot, Davida, Benjamin, Leora and Cory, and Eryn. Dear brother and brother-in-law of Gertrude and the late Sam Kaminski and predeceased by Cila and Max Syna, Yeti and Hersh Rotsztjein, and Zeisman Syne. Brother-in-law of Hava and the late Yakov Zylblat, Sara and Amnon Koren, the late Faige and the late Moishe Rakovski. He will be sadly missed by his many nieces, nephews, family and friends. Funeral service from Paperman & Sons, 3888 Jean-Talon St. W., on Tuesday, March 26 at 1:00 p.m. Burial at the Lodzer Society Section, Mount Pleasant Cemetery, Duvernay. Shiva at 2575 Major, Ville Saint-Laurent from 1:30 p.m. to 4:30 p.m. and 7:00 p.m. to 9:00 p.m. daily until Sunday evening. Donations in his memory may be made to “Beit Halochem – Aid to Disabled Veterans of Israel” 1-800-355-1648, (905) 695-0611.